1. Butter a 900ml pudding basin and spoon the golden syrup into the bottom. Stir in the lemon juice. 2. Beat the butter and sugar together with a pinch of salt until fluffy, and then gradually beat in the eggs until well mixed in. Fold in the flour, followed by enough milk to give a smooth dropping consistency, and spoon into the basin, stopping just short of the top to give it room to rise. 3. Cover the basin with a lid or secure layers of greaseproof paper and foil, pleating the centre to give the pudding room to rise, and securing with string. Trim the excess from the sides and steam for 2 hours, topping up the water as necessary. 4. Run a knife around the inside of the basin, and turn out on to a lipped plate. Serve immediately. Is syrup sponge the ultimate sticky winter pudding, or do you have other classics, British or otherwise, up your sleeve for the long dark months ahead? Or do you believe there's no room for such sugary stodge in the modern diet – what's wrong with a nice fresh apple instead? That's just too, too cruel, Adrian. We both love steamed puddings and especially this. But I can't see how I can adapt it to be more diabetic friendly. 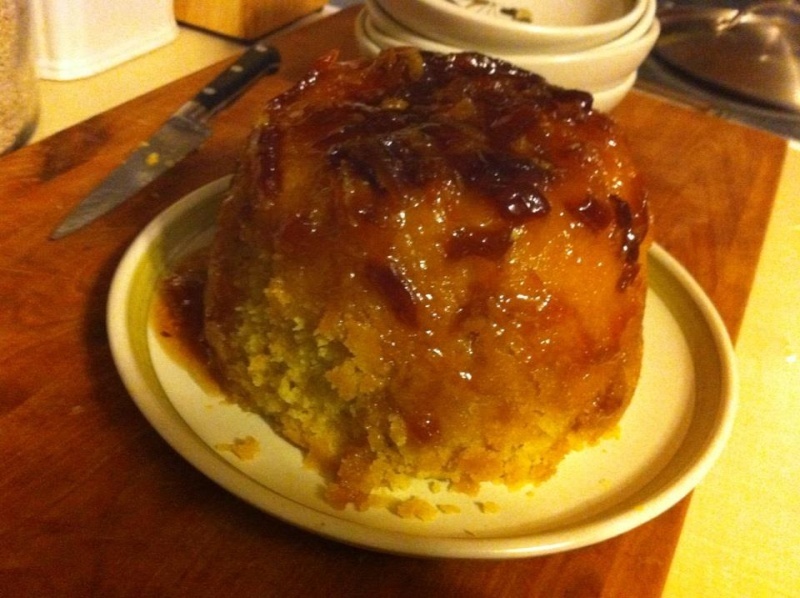 The article to which you made the link mentioned a Mary Norwak recipe for a layered suet pudding. I used to make one every Christmas - layers of suet pastry with mincemeat (homemade of course) and grated apple, with a syrup topping. It made a good Christmas pudding substitute as both my sons were allergic to eggs. Oh my, yes, yes YES!!!! ooh Adrain, those look lovely. If I wasn't so warm and cosy on th sofa watchnig You've Got Mail and supposed to be sewing up LMJ's jumper, I'd make one for us. Oh my word. 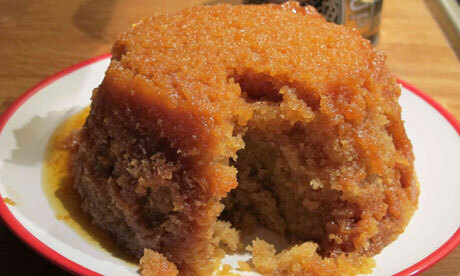 I love steamed puddings, and it is just the season for them. I have a recipe somewhere for one which has no suet, but grated pear in the sponge and ginger in syrup in the bottom. Mmmm. Does the pear count as one of my five-a-day ? » PVC hoop - want it to be perfect. Help!